Smog is a concept most urban dwellers across the globe are pretty familiar with, in today's traffic-and-factory-filled world, but it reached extreme levels in northern China Monday — all but shutting down one of the region's largest cities. Schools closed down, roads were shut off and airports stopped running, in the first major air pollution crisis to hit China this winter. The northeastern city of Harbin, which holds roughly 11 million people, had smog so thick that visibility was reduced to 10 meters, less than half of a standard football field. According to state media, an index that measures air quality had the level of harmful particulate matter over 500 Monday — Reuters had the figure closer to 1,000 — and anywhere above 300 is considered a hazard. The World Health Organisation recommends a level of no more than 20 a day. The levels of smog were so unhealthy that all primary and middle schools in the area were forced to suspend their classes, and several public bus routes were shut down. At least 40 flights going to Beijing and southern China were cancelled or postponed at Harbin's international Airport. This isn't the first time a smog emergency has caused a major Chinese city to stop in its tracks. 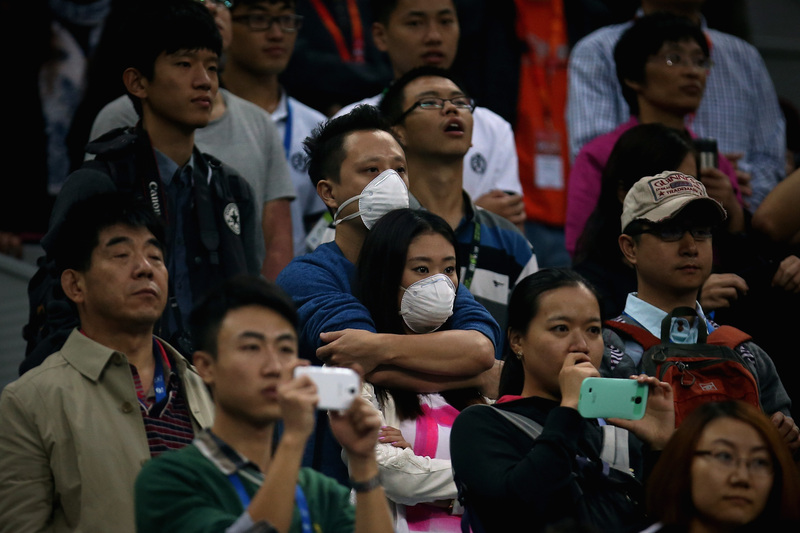 Last January, Beijing's levels of harmful particulate matter went over 900. Last week, the city had to initiate a color-coded alert system for dealing with air pollution emergencies of this type, which would include briefly stopping factory production and construction. Smog — which is produced via a complex series of chemical reactions involving pollutants that come from exhaust fumes, factories and even hair spray — causes a wide range of health issues like asthma and reduced immunity from lung infections and colds, and can also cause major damage to crops and forests. In the states, it's been estimated that roughly 90 million people live in areas with higher-than-healthy ozone levels. The smog emergency in Harbin is expected to continue for the next 24 hours.